Samsung launched the Galaxy Beta Program for Android 7.0 Nougat a couple of weeks ago. 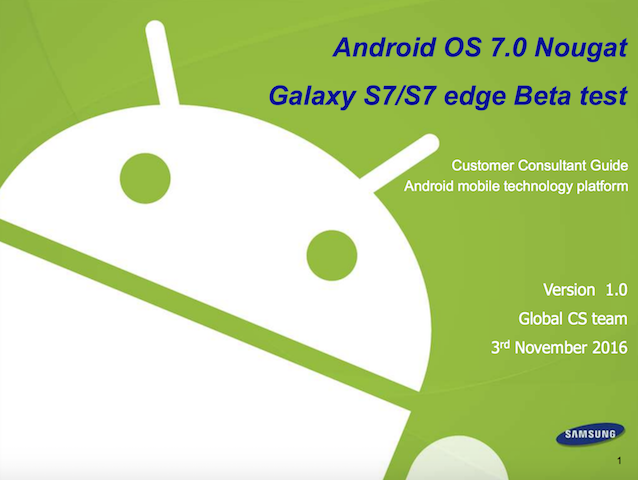 This program is live in a handful of countries were Galaxy S7 and Galaxy S7 edge owners can register for the opportunity to test Nougat beta builds. 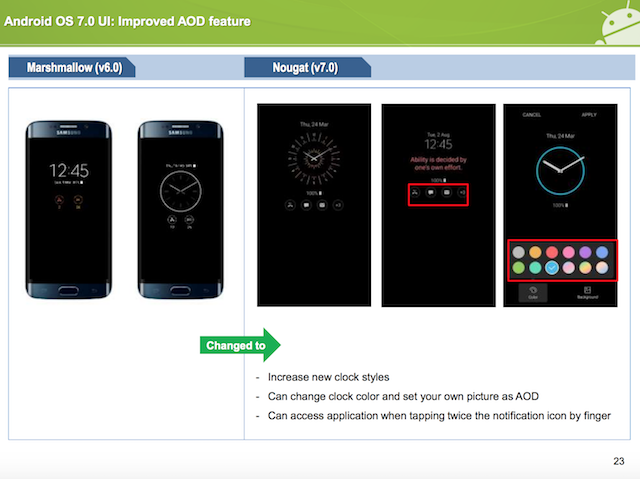 We already have a good sense of everything that’s new in the next update but we have now obtained Samsung’s official consumer consultant guide for Nougat on the Galaxy S7 and the Galaxy S7 edge. The guide details all of the new features and improvements included in Nougat and compares them with how things used to be on previous iterations. The guide reveals how the entire user interface and experience has been enhanced compared to how it currently is on Marshmallow. It highlights some of the new features such as the ability to change display size, direct reply from notifications, improved Always On Display aside from countless user interface tweaks. You can find out more about all of the improvements by checking out our Whats New With Nougat series. 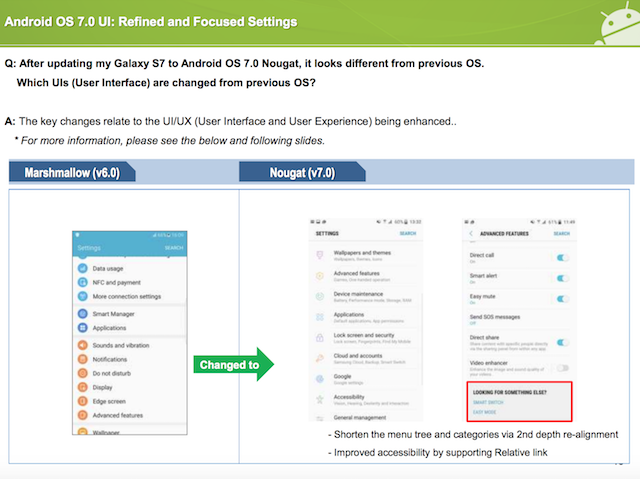 Click here to download the Galaxy S7 and Galaxy S7 edge Android 7.0 Nougat consumer consultant guide (PDF). Nice. So 95% of the changes turn the S7/S7E really into a Note 7 without the S-Pen. I can’t wait to have all of this again since my Note 7 had to back. I got use to a lot of this and it will be good to have all of it again. Thanks. This pdf shows the diffrence between 6 and 7 Beta nicely. They really need to get a native English speaker to proofread these. It’s getting embarrassing for a company of Samsung’s size.